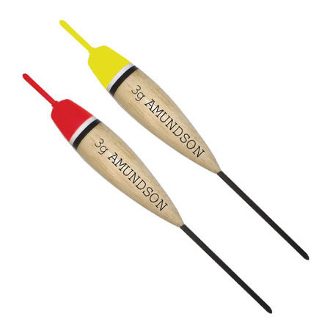 AMUNDSON PRO FLOAT Balsa wood. Available in 2 colors and 4 sizes. THIS ITEM IS DISCONTINUED, BUT WE HAVE SOME STOCK. Available in red only.